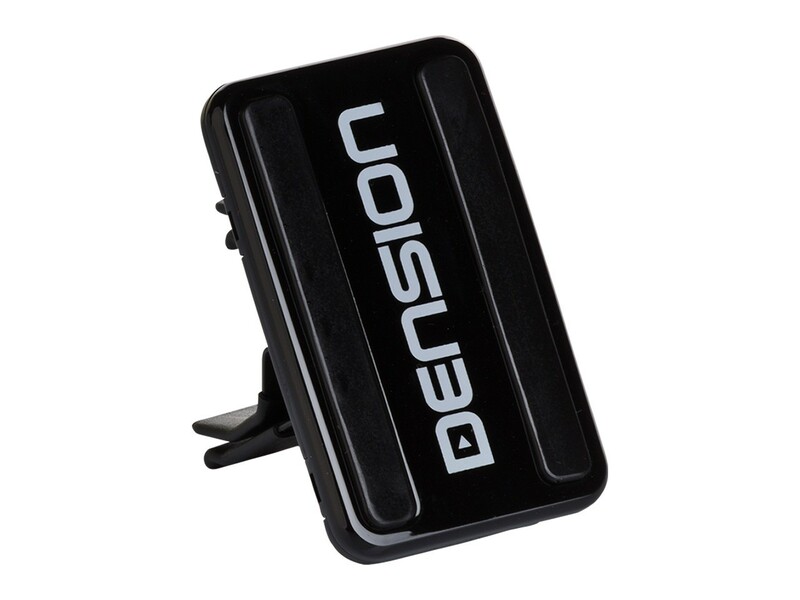 Dension Unimount is the easiest way possible to mount any lightweight device like your iPod, iPhone or your phone in the car for maximum convenience. 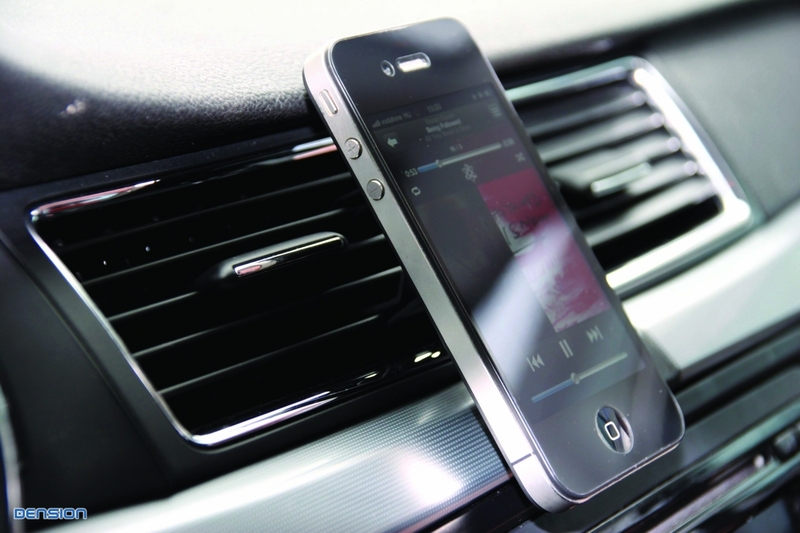 Dension Unimount is an ideal complementary solution for the Bluetooth capable Dension Gateway products as well as for those users who just simply want a car mount for their mobile devices. There’s no screws, no adhesive and no magnets involved. The two strips on the cradle use nano technology to create a clean vacuum, which any smooth, dry surface will stick to. ...only vacuum that provides a renewable adhesion. You only need to clean the surface with pure water and let it dry to get back the original performance of the nano vacuum surface. 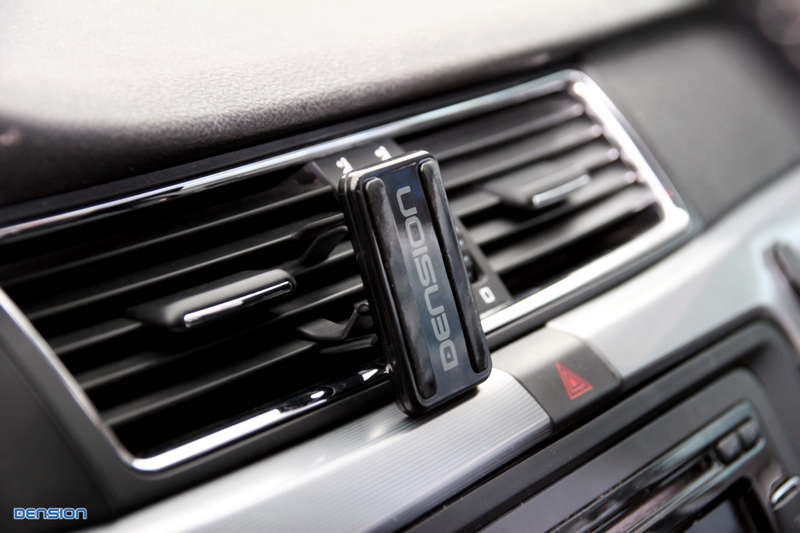 The cradle clips into the air vent using adjustable clips, meaning no damage to the vehicle surface. When the cradle starts to lose adhesion, simply wash it in clean water to refresh. Suitable for iPods, mobile phones, portable navigation devices and anything else that you may want to have easy access to in the car. 접착력은 매우 우수합니다. 하지만 날씨가 추울땐 접착력이 좀 떨어지고 생각보다 송풍구에 장착이 딱 맞아 떨어지지는 않습니다. 그리고 접착면이 맨들맨들 하지 않으면 쉽게 떨어집니다. 가령 케이스를 장착하였는데 케이스에 굴곡이 있거나 재질이 좀 상이하면 금새 떨어집니다. good product, fast delivery, thumbs up Dension! There is nothing bettet than product in Korea. It`s a very good. I have a big satisfaction.